According to the Baha’i International Community, a Baha’i resident of the city of Yazd was killed by two men with a knife on the twenty-sixth of September of this year. 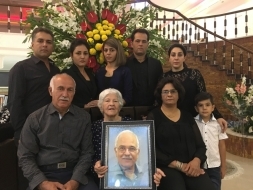 While the Baha’i community refers to the murder of 63-year-old Farhang Amiri as a religious hatred killing, Colonel Mohammad Reza Mazidi, the social deputy of the Yazd province police chief, told ISNA that “a two million Toumans (approx $6,230) financial dispute was the motive for the murder of the 63-year-old in Qasim Abad in Yazd.” Colonel Mazidi has added that police officers were able to arrest the killers quickly. 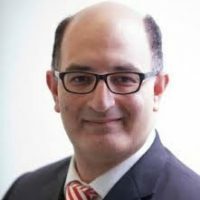 The No to harassment and imprisonment of Baha’i Citizens Campaign, as well as BahaiNews, quoted an “informed source” that the attackers of Mr. Farhang Amiri had confessed to the murder conviction solely because of conscience issues, as this person was a Baha’i and they consider Baha’is to be apostates. According to BahaiNews, the Mr. Amiri’s family has long been under surveillance. The day before the murder two men went to his house, saying they wanted to buy his pickup, but the son of Mr. Amiri told them that he was not aware that the truck was for sale, so the two left. A day later, these two men attacked and injured Mr. Amiri with a knife in front of his house. He died shortly after being transported to the hospital. Local shopkeepers caught one of the assailants and delivered him to the police while another person who was said to be his brother was detained by police shortly after. 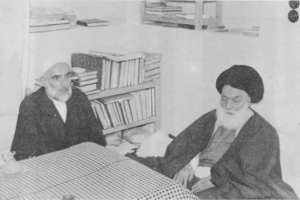 BahaiNews said earlier this Baha’i’s father had been murdered by the hands of extremist religious forces in Hormozak in Yazd at the time of the opening of the Baha’i House of Worship in Chicago (in 1953), and the murder of Farhang Amiri took place before the inauguration of the House of Worship in Chile( in 2016). 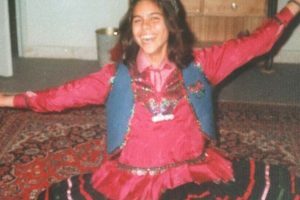 The Baha’i International Community, in a report published on Tuesday October 25, declared that the attacks on Baha’is in Iran have been vigorously continued during the administration of President Hassan Rouhani, but the government uses more sophisticated tactics to oppress the Baha’i community, so as to hide its actions from the eyes of the world. The report says that since the beginning of the Rouhani Administration, 151 Baha’is have been arrested in Iran, 388 businesses have been targeted by economic harassment, and 28 young Baha’is have been expelled from university. In this detailed report, in which the various aspects of arrests, expulsions from universities and economic pressures are laid out, the international community has been asked to call the government of Iran to take action instead of merely to talk. Calling Baha’is “ritually unclean” and then to raise no objection to crimes of murder, slander, vandalism and robbery, as long as they are perpetrated against Baha’is, is the kind of selective morality that is associated with thugs and bullies, and the beards and robes of a thousand befuddled scholars with their trappings of judicious deliberation are not sufficient to cover the hiprocracy of these outlandish statements, nor are they sufficient to crush the flower of these precious hearts or the people of the world who hold those hearts dear and know injustice when they see it.